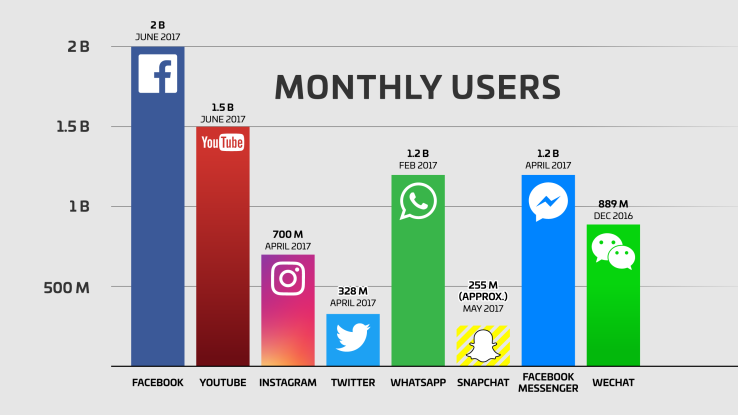 This makes Facebook the largest social app in terms of logged-in users, above YouTubeâ€™s 1.5 billion, Twitterâ€™s 328 million and Snapchatâ€™s estimated 255 million. 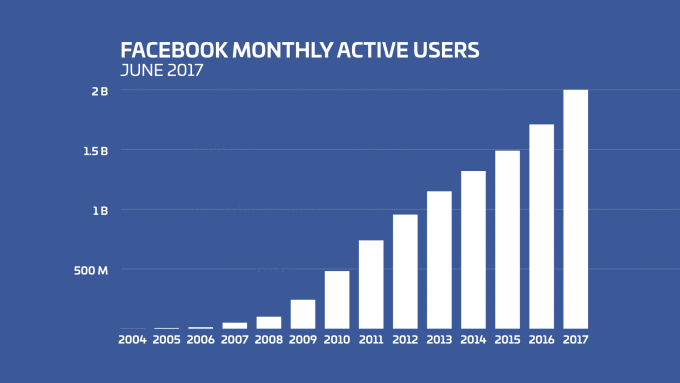 Despite Facebookâ€™s size and age, its user count is growing as fast or faster than any year since 2012. And people arenâ€™t using it less either. In fact, 66 percent of Facebookâ€™s monthly users return each day now compared to 55 percent when it hit 1 billion.